Color chess is one of our chess custom product. We give you an example in the picture above which show you about color chess pieces. We take the King chess in various color. 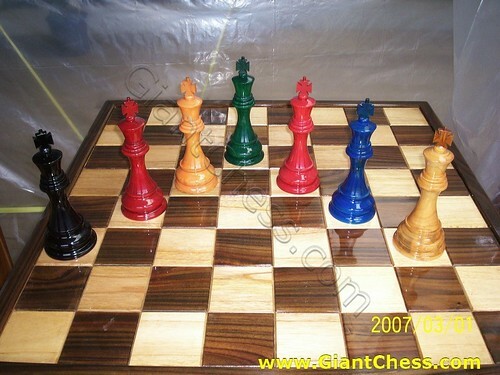 The black, red, brown, green, and the blue are the color example of our color chess. In fact, we have another interesting colors for your or if you want to make a chess set in your own color, we can create it for you. Made from best quality of Teak wood and carved in beautiful shape by our expert cratsman, make it have unique value for house decoration. So beside as soldier in chess game, you can use it as house decoration. You can put it on your living room, library table, office, children room or even at your patio area. This is the durable product, so you can placed the chess pieces at outdoor area. Just try it now!